The plugin is available from the official WordPress.org plugin repository. Install it from your WordPress dashboard by searching for “Contact Form 7 Controls” under “Plugins” → “Add New”. 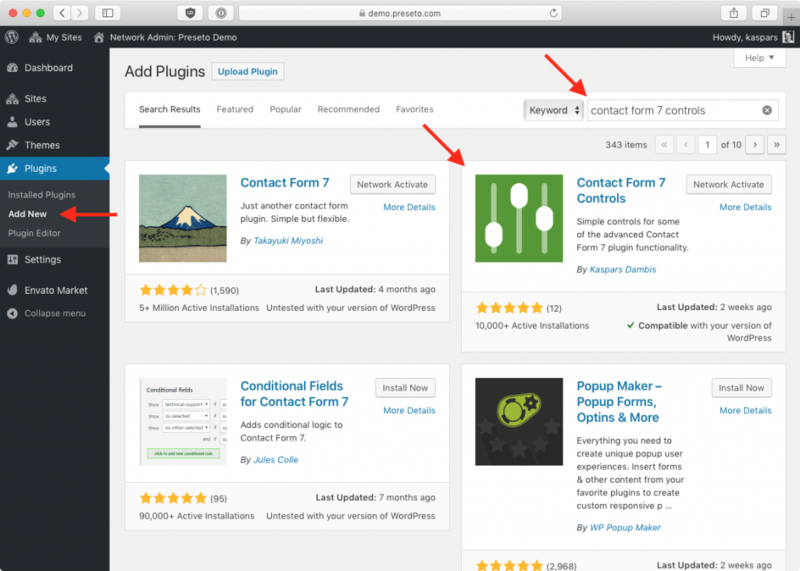 Got to “Plugins” → “Add New” and search for “Contact Form 7 Controls” in your WordPress administration panel. Report issues and submit improvements on the GitHub repository.